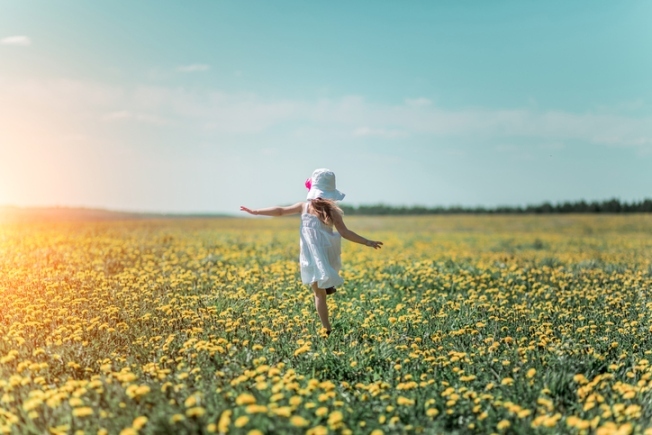 Little girl in white hat and white dress in a field of flowers in the summer. The following content is created in consultation with Granite State Power Link. It does not reflect the work or opinions of NBC Boston’s editorial staff. To learn more about Granite State Power Link, visit granitestatepowerlink.com. The economics and expectations of renewable energy are shifting. Amidst growing environmental concerns, more than 50 U.S. communities – including a number of New England cities among them – have committed to a 100 percent renewable energy target by 2030. At the same time, traditional power plants across New England are shutting down, as demand for nuclear, oil and coal-fired power dwindles. With sustainability in, and traditional power sources on their way out, demand for renewable energy is at an all-time high. And for New England in particular, wind power is best-suited to fill the gap. But why wind? Since 2009, the cost of wind power has dropped by 66 percent, including a cost reduction of 6 percent in the last year alone. All signs suggest that wind will become even more affordable in the years to come. In fact, a recent study observed the ‘learning curve’ of wind power installation, and determined a correlation between installing more wind capacity and the further decline of wind power costs. With costs at an all-time low, wind has become the cheapest renewable power source in the U.S., and is increasingly cost-competitive with traditional fuel sources as well. In fact, when taking the long view of the landscape, the overall costs of building, maintaining, and operating wind turbines are becoming cheaper than the costs of traditional power plants. With wind now leading the way in affordability and efficiency, wind energy is not only economically feasible today, but offers a lucrative return on investment for the long term. New England is already starting to rally around wind in a big way. Today, the region houses 1,300 megawatts of wind generation capacity, with an additional 5,400 megawatts proposed. Some states in the region have also begun the process of contracting long-term wind energy projects, with Massachusetts closing in on one of the largest electric power procurements in its history, prompting local companies to put a stake in the ground as well. For one, General Electric is partnering on proposed wind energy projects for the Commonwealth, given its stake in renewables as a major supplier of wind turbines and other high-value components. Buy-in from local partners like GE is a win-win-win: not only are we one step closer to a clean energy future, but local jobs will be created as a result of these initiatives, and the hundreds of millions of dollars at stake in Massachusetts’ contract will stay local. But the appeal of wind for New England goes beyond the presence of companies like GE, or the wind facilities already installed here at home. It’s actually the wind currents from our northern neighbors in Canada that make wind energy optimally efficient and affordable for New Englanders. The wind blowing in Quebec is an especially economically attractive resource, due to its quality and reliability. Wind there blows steadily and consistently, even during peak electricity times like the winter, when you’re most likely to need the energy. Importing that level of quality and reliable wind into New England ensures a baseline of both affordability and efficiency. New England’s clean energy future relies on wind, and its growing affordability coupled with the reliability of Quebec wind in particular make this future more attainable than ever. These are the principles embodied by the Granite State Power Link,, a National Grid project that aims to bring new, clean and affordable wind energy to New England. The project will harness existing transmission corridors to bring Canadian-generated wind power into New England, in a way that doesn’t increase net carbon emissions for either region, and doesn’t require new infrastructure investments that will disturb local communities in any way. As we continue on the path toward renewable energy, a range of renewables – from wind, to solar, to hydro – will be important considerations for different regions, depending on their own unique circumstances and needs. But here in New England, it’s wind that is leading the pack and showing tangible progress toward realizing a clean, affordable energy future for all New Englanders. You can learn more about the Granite State Power Link and its approach to bringing new, clean wind to New England here.